Advantech's new generation UNO-2000 series of Embedded Automation Computers are highly ruggedized fanless and modular design. 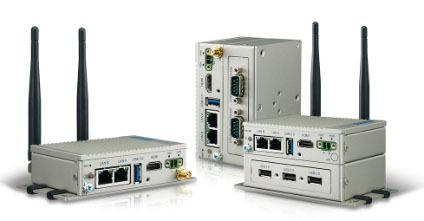 New UNO-2000 series including pocket, small, and regular-size form-factors with indicated market segments in terms of different kinds of smart factory application categories such as Equipment Connectivity (EC), Process Visualization (PV), Environment Management (EM), and Dispatch Management (DM) solution. New UNO enables smart factory and fulfill all application. The modular design of UNO-2271G features optimized I/O, offers three different configurations and also reserves flexibility of supporting Advantech’s iDoor technology via second expansion stack. It provides flexible and time-to-market support in variety of applications.